Majority of people don’t have the understanding of metal roofing technology. It is really not that complicated. Metal roof is one of the best roofing materials available. It eco friendly, saves money, resistant to the elements and lasts longer. A lot of people worry that metal roof has a higher chance of getting struck by a lightning because it is made out of metal. Metal roof does not increase the chances of getting struck by lightning. When a house with a metal roof indeed gets struck by a lightning, metal roof will dissipate the charge and the roof will not catch fire especially since it is made out of noncombustible material. Steel roof, a type of metal roof, is classified as the most fire safe type of roof available out there Metal roof is fire resistant. When comparing to other roofs, this one doesn’t make noise when it rains outside. It withstands the toughest abuse form bad weather and provides a desirable color. 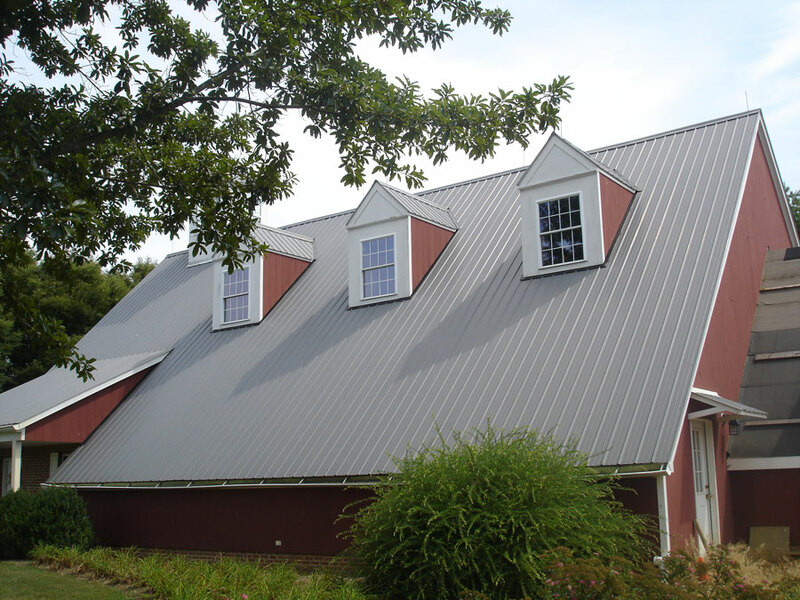 Another great benefit of metal roof is that is its extremely durable. Once it is installed it lasts years to come. It is susceptible to rust and any dents. Extremely high winds will not dent any metal roof. In today’s economy everyone wants to limit their spending. When it comes to buying a roof for the house, it really is a big purchase that costs a lot of money. Believe or not one can save some big bucks on a huge purchase such roofing is. One would think metal roof costs a lot of money but it really does not. There’s not a big gap between prices among roofs unless one plans on buying coal roof material which costs a fortune. Metal roof is a great investment because it is priced fairly the same as the rest of the roof types, and is super durable. The cost of metal roof is indeed higher than an asphalt roof and that is because it requires professional application for installation, also metal roof is a premium product that does not deteriorate after installation. Metal roof automatically increases the value of a house. Not only that it also saves money on cooling and heating costs. Up to 50 % of savings in energy costs during summer months and winter. It is a great insulator of heat and cold. Metal roof has a higher heart reflectivity than any other product. It makes buildings cooler in summertime, by reflecting away sunlight and reducing the heat transmitted into the building. In winter, it makes buildings warmer by reflecting inside heat from the underside of the roof back into the building. This amazing thermal reflectivity translates into energy savings by reducing heating costs in the winter and cooling costs in the summer. Everyone wants metal roof. Metal roofs are completely walk-able, but running shoes are mostly recommended because they will provide good traction for feet when on the roof. Another fact about metal roof is that it is lighter than other types of roofs because it is made out of metal. Visit our metal roofing section if you want to find out more about metal roofing in your place in New Jersey or Pennsylvania.